News & Events How to Prevent Cone Crusher from Being Blocked? Material blockage will force the equipment to stop and waste a lot of time to clear up the accumulated materials, thus causing a seriously adverse influence on production. So we should try to avoid material blockage as far as possible in the production. How to prevent cone crusher from being blocked? 1.The inspection before production. Before starting, we should have a thorough inspection on each part of cone crusher, including the fasteners, motor wiring, pulley tightness, workplace voltage, crushing cavity sundries, etc., to ensure the normal working conditions of cone crusher. 2.The requirements on feeding. When inputting materials into cone crusher, we should notice the following two aspects: one is to keep feeding evenly, not too much nor too little; the other is to ensure the nature of the feeding materials conforming to the requirement, such as particle size, hardness and water content. Avoid materials adhering to the inner wall of the crushing cavity and causing material blockage. 3.The processing before feeding. 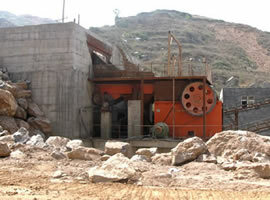 If there are unqualified materials not in conformity with the feeding material property to be crushed, then we have to deal with these materials in advance, such as blasting treatment, preliminary screening, solarization, drying and so on, in order to guarantee materials' dryness and purity. 4.Timely adjust the discharge parameters. 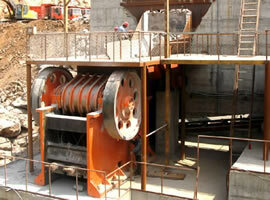 The unsmooth discharging of cone crusher is one of the direct factors leading to material blockage. So during the production, we should pay attention to alter the discharge parameters according to material properties, to avoid equipment plugging. 5.Reduce component wear and tear. When the main crushing components of cone crusher are badly damaged, it will bring down material's crushing effect and indirectly result in the occurrence of material blockage. Therefore, we should try to reduce component wear and tear and maintain cone crusher parts thoroughly and properly.